Micro ATMs - How it is different from other ATMs? Home » Personal Finance » Micro ATMs – How it is different from other ATMs? ATM has made our life very easy. There is no doubt about it. However, in the cash crunch scenario like today Micro ATMs is the best suitable option. Micro ATM is small POS type machine. Micro ATMs allows customers to perform financial transaction like cash deposit, withdrawal, and fund transfer. In this post, we will discuss about Micro ATM and its benefits. Micro ATM is a mini version of an ATM. Micro ATMs are like modified point of sales terminals this terminal can connect to banking network via GPRS to perform banking transactions. 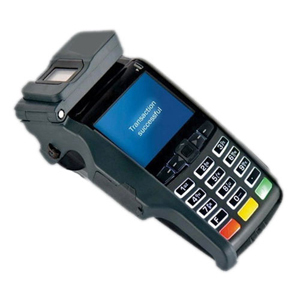 This machine contains card swipe facility and fingerprint scanner. These machines are carried by bank representative at remote/mobile locations. These machines are handy and not capable of keeping any cash. The cash is carried by the bank representative along with him/her. He/She is also responsible for collecting a cash and depositing it user account. What transactions can be done at Micro ATM? Working of Micro ATM is similar to normal ATM machine. Firstly, you need to undergo via a verification process. For the verification process, Aadhaar card with fingerprint scanning or card swipe option is provided. Once verification is completed Micro ATM will display various transaction options. You need to select the option and device will process the transaction. On successful transaction, a message will be displayed on the screen and print receipt is generated. You will also get SMS alert from your bank about the transaction. This ATM provides facility for the transaction for all banks. However, it is mandatory to link your Aadhaar card with your bank account in order to use this facility. What are the benefits of using Micro ATM? The Micro ATM is invented to help people of the rural area for the financial inclusion. However, in heavy cash crunch problem like today these types of Micro ATM machines is boon to everyone.